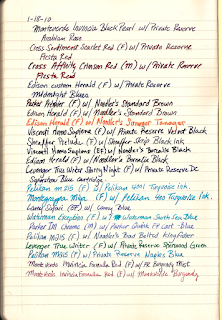 Since early this year, I've been compiling a sample of pens + inks that have come across my desk. Every time I have a new fountain pen combination, I'd write down the pen name and ink in my Moleskine journal. 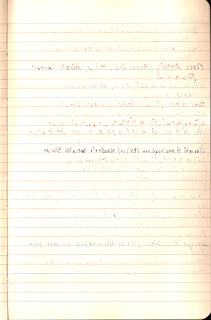 It is very true what folks say about Moleskine paper and fountain pens. Some pen & ink combinations bleed right through the page like an extra-thick Sharpie marker would. Finer points fare significantly better in this test. It is also interesting to see how the same ink shows up using a pen from a different brand nib. 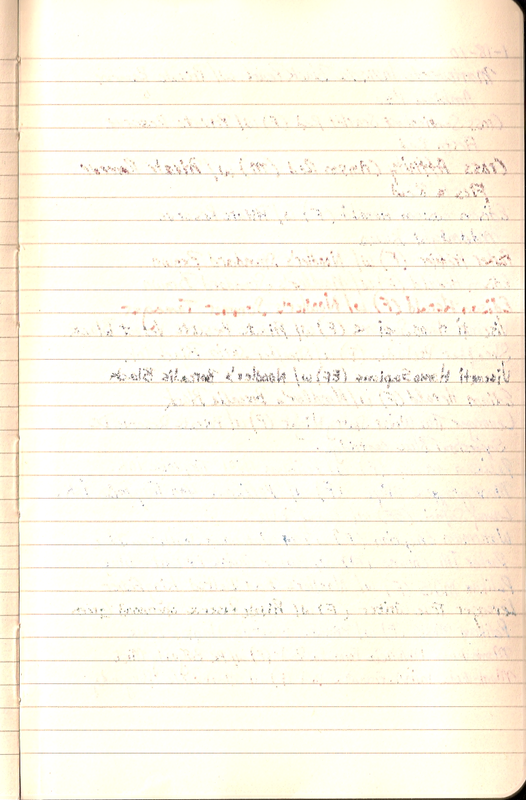 For example, the Parker Premier and the Edison Herald using the same Noodler's Standard Brown. The Pelikan m215 vs the Montegrappa Miya using the same Pelikan Turquoise ink is also a helpful comparison. What can you learn from this sample? Moleskine works best (and has the least bleedthrough) when you use a fine or extra-fine point and a lighter ink color (turquoise, light green or light orange). 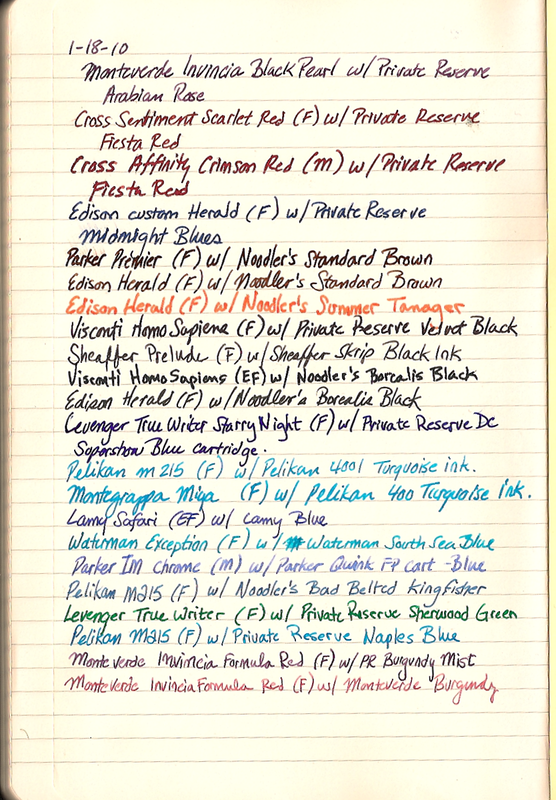 If you have a Moleskine, what pen & ink combinations work the best for you? The worst?